Sun filled days and starry nights. Susan Baird is an artist and author who resides in Upstate New York. Her niece, Danielle Berg is an artist and art teacher who is living in Northern Vermont. 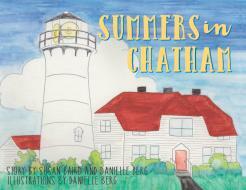 They still spend their vacations near the Lighthouse in Chatham.